So one morning while we were in Florida, we actually figured out that we had a couple free hours and so took advantage. We saw a monument (more about that later), sandhill cranes and a huge orange building – Eli’s Orange World. Think kitschy Florida. Think alligator necklaces, jerky and teeth. Think all things Disney. Think every retro souvenir you can think of – and you have the gift shop. 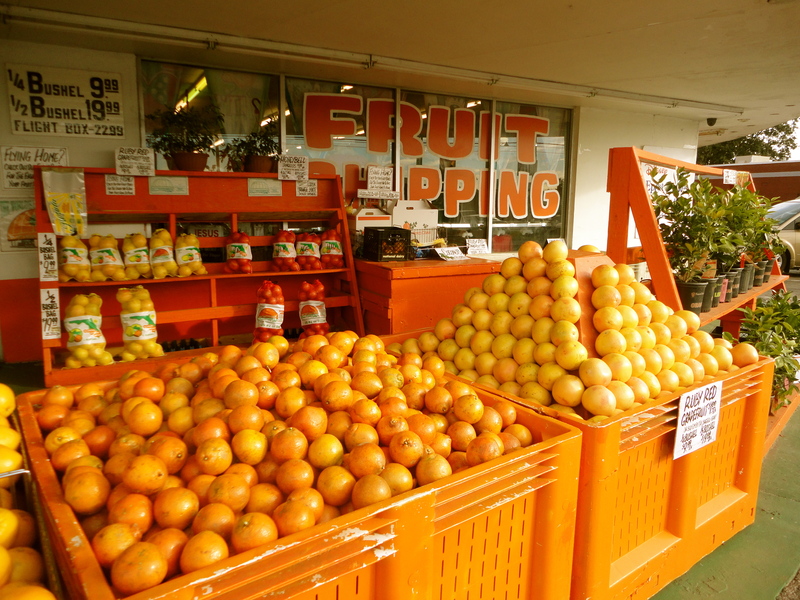 But they also had oranges … and more oranges. 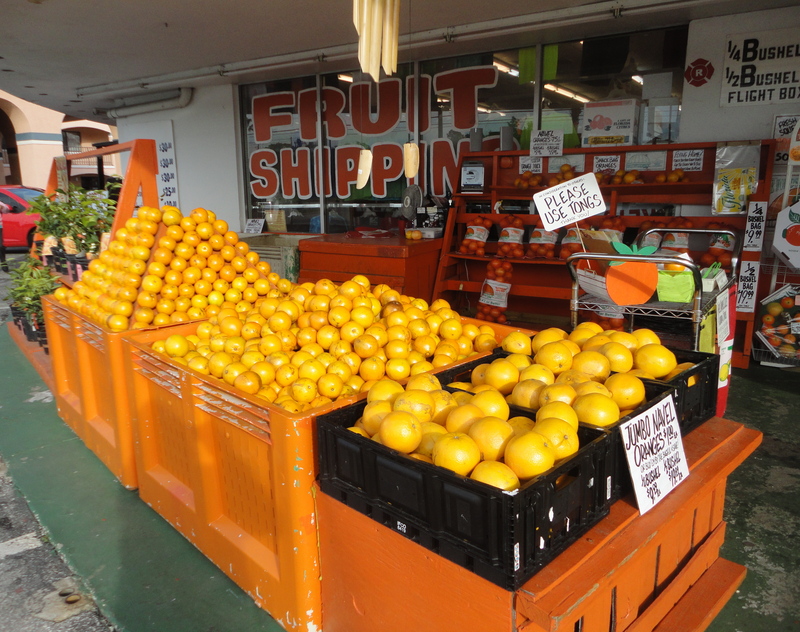 They give samples of their oranges, sweet, juicy samples. And they sell orange juice. I bought a bottle – and it was delicious, just as they promised. 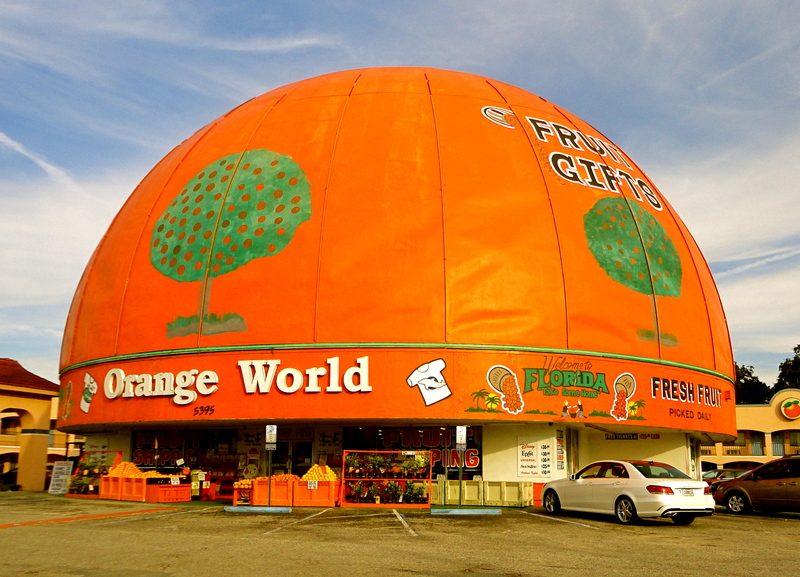 If you’re in Kissimmee and good oranges and a trip to retro America – stop at Orange World.